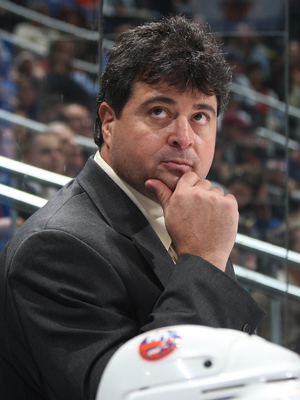 Yesterday, Jack Capuano was the head coach of the New York Islanders and Garth Snow’s roommate. Today he was handed walking papers by the Isles along with, we can safely assume, an eviction notice by Garth. 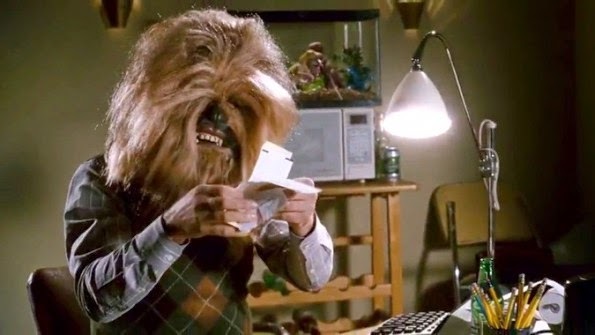 Tomorrow, he’ll be forced to update his resume. Capuano’s tenure with the Islanders is a hard book to title. 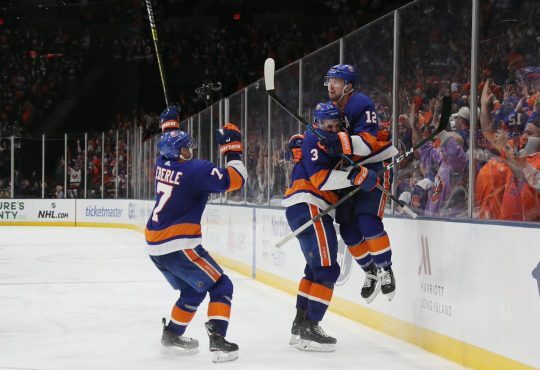 Since taking over the team in 2010, when became head coach midway through the season for similarly jettisoned Scott Gordon, the Isles have made the playoffs three times in five full seasons. 2016, regardless of whether the team rallies from last in the East to miraculously make the playoffs, was Capuano’s greatest failure and his complete undoing. As we all know, in 2015, Capuano did something that no Islanders head coach had done in 20+ seasons: win a playoff series. Indeed, between the 87-88 season and 2015-2016, the Isles had 16 different coaches (counting interim coaches, and excluding Al Abour’s one day stint in 2007) who all failed to make that accomplishment. So while Capuano’s departure comes on as sour a note as possible—literally, since the Islanders are in dead last—he deserves a modicum of credit for at least doing something that so many recent coaches before him had failed to accomplish. That being said, 2016-17 has been one of the most disappointing seasons in Islanders history, and winning one single playoff series is hardly a career-defining moment. Fresh off their aforementioned first playoff series win in two decades, the team has not just underperformed. Rather, the season has been defined by near constant line juggling, bizarre personnel decision-making, and perpetual mismanagement of player development. 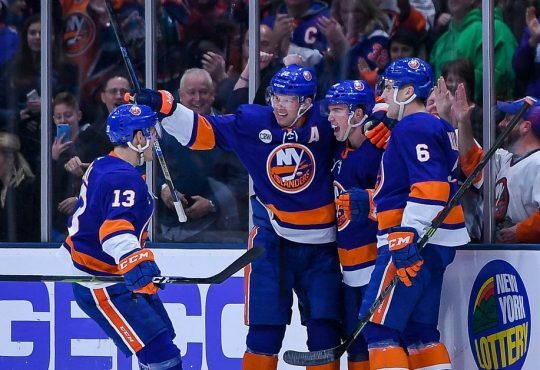 Capuano’s players often looked lifeless on the ice, and the Isles ceded an astounding number of third period leads or ties to steal defeat from the jaws of defeat time after time. It was never a question of whether the team had given up on Capuano, it was moreso an existential question: why? The answer as to what is the cause for the Islanders’ loss of confidence in their coach leads back to at least one thing that extends beyond Capuano’s control, namely Snow’s decision to let Frans Nielsen, Kyle Okposo and Matt Martin walk in free agency and his assumption that Jason Chimera and Andrew Ladd could adequately fill their shoes (well, skates). 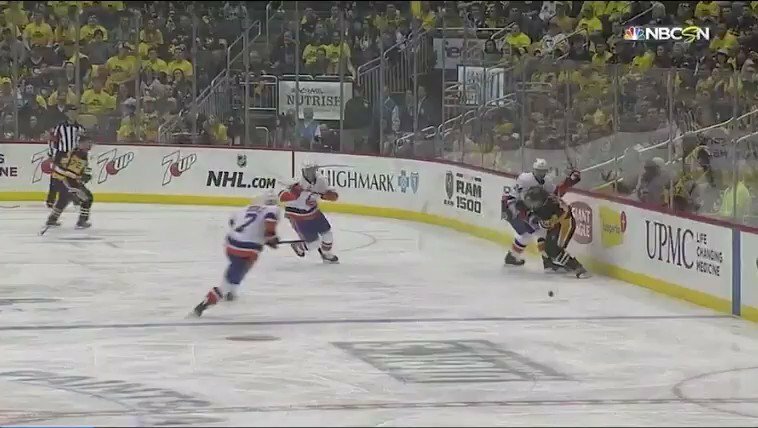 But none of that could save Capuano from trying to Nino Niederreiter-ize Anthony Beauvillier, from putting Chimera on the first line, and from letting the goal-tending situation devolve into a game of Russian Roulette in which the only guarantee was that the Islanders chances of winning ended up shot. All of that being said, Capuano’s firing was long overdue and likely cost the team a chance at the playoffs this season. But, as has been already explored at length, the Islanders admittedly had few options for changing horses mid-race. Doug Weight, now the Islanders interim-head coach and likely the next person whom fans will beg ownership to fire, has his work cut out for him in what appears to be a lost season. However, with the Islanders languishing in last place but also holding games in hand over every team in the Metropolitan Division and currently only eight points out of the last wild card spot, there is nowhere to go but up and still the remote opportunity to actually seize on that. Weight has no head coaching experience and has had only Capuano as a tutor—making his credential dubious at best. But he is a fiery competitor, was a near hall of fame caliber player, and could be the motivator the team needs to at least finish some of the close games that the Capuano seemed not only to let slip through his fingers but sometimes even actually throw away. 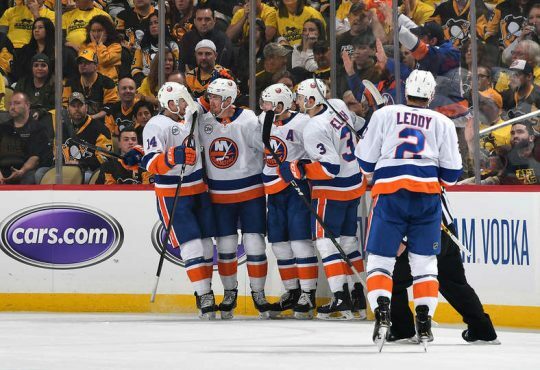 Coming off of a 4-0 shutout of the Bruins, the Islanders will try to build momentum by sneaking up on opponents that are going to be inclined to play backup goalies and perhaps take their foot off of the gas. If Weight can somehow save the season, or even make things competitive, it’s not impossible to think he could become the third straight interim coach to take on the full-time label. However, with the impending removal of Garth Snow an all but foregone conclusion, it remains to be seen how the new ownership will want to treat their first major managerial test: the traditional route, of letting a GM pick his head coach, would seem like a safer bet than forcing a rookie head coach on a new GM, especially with a roster full of potential but wanting for established productivity (the Captain aside). Moreover, only elevating the importance of the decision is John Tavares’s always looming contract situation, which will surely have an impact on and be impacted by the coaching situation. 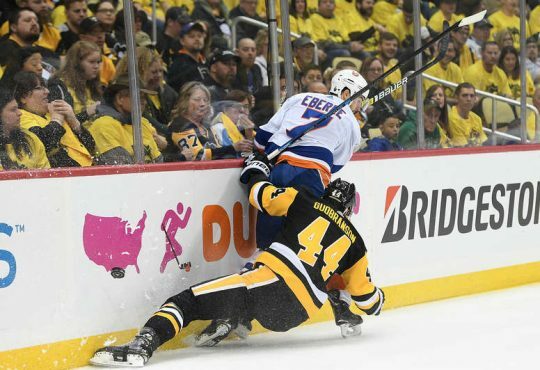 The Islanders cannot afford to lose the face of their franchise in Tavares, and so whatever decision Ledecky and Malkin make, it will necessarily be calculated at keeping Tavy and returning the team to playoff form sooner rather than later. 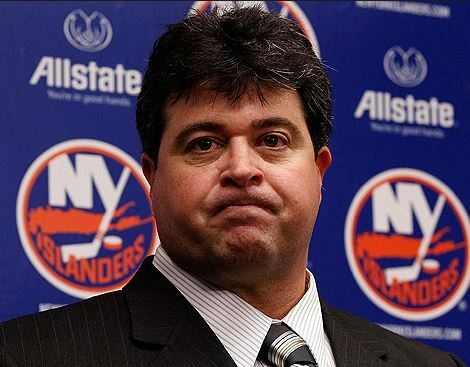 For the time being, Isles fans can all be happy that Capuano is no more and one source of the suffering is over. However, with so much of the season having already passed the team by, the question remains, what took so long, and was it worth the weight?